Mobile phones (or cell phones or hand phones, depending where you are in the world) can be used to track the location of people. This has always been possible, because of how the cellular network works. But now it’s easier for hackers. The GSM system (used by most phone companies) has a test mode built in. A recent demonstration by a university showed that anyone can access this test mode and request the location of any phone, if they have the right skills and equipment. The equipment doesn’t cost very much, and the skills can be shared on the internet. 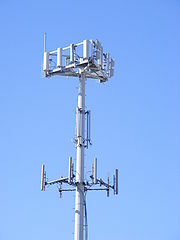 Mobile phones use base towers to handle the communication. The phone network needs to keep track of which towers are closest to you. And by using triangulation, an approximate position can be calculated. Here is the research paper by University of Minnesota explaining how they tracked phones: Location Leaks on the GSM Air Interface. Nothing. Law enforcement organisations have always had access to your phone’s location. Hackers now have it as well. If you need to keep your location private then don’t carry a mobile phone. You could also keep it turned off until you need it, but as soon as you turn it on the cell network will know your location.